As the 1940's got underway, Puerto Rico found itself mired so deeply in poverty that it had been labeled the “Poorhouse of the Caribbean.” Per capita income was a meager $121. Almost half of the adult population of 1.1 million persons was out of work. 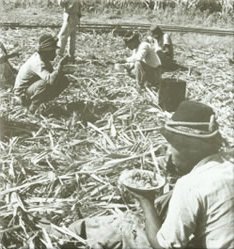 Those who did have jobs worked mainly in sugar cane cultivation, which was largely seasonal work. Income was unevenly distributed, with 86% of the population receiving just 29% of the total income. But the winds of change were beginning to blow on the island. A new generation of Puerto Rican leaders, led by the late Luis Muñoz Marín, had emerged. They were determined to make sweeping changes in the country that would result in a better quality of life for all Puerto Ricans. It was against this background that the Government Development Bank for Puerto Rico was born. GDB was one of several new public instrumentalities created in 1942 to give the island a governmental structure that would serve as the foundation for its economic and social development. Muñoz Marín described it as the “Bank of the People,” an entity that would respond to the needs of all Puerto Ricans. Lacking an industrial base, the Puerto Rican government decided to take the initiative and have the government invest directly in factories that would create much-needed jobs. Thus the seed of industrialization was sown as the government established new factories to manufacture such products as glass, shoes, paper and cardboard products and clay products. During the Second World War, trade with the U.S. mainland was limited and the factories had what amounted to a captive market, which allowed them to flourish. However, with the normalization of U.S. – Puerto Rico trade following the war, the government-owned factories lost their captive market and were no longer able to compete with imported products, either in quality or in price. All five government factories would end up being sold to private entrepreneurs before 1952. This led to a fundamental change in strategy. Starting in 1946, the government changed its role in the industrialization process from that of an entrepreneur to that of a promoter and facilitator of private investments. The focus now shifted to creating the kind of conditions that would attract private investors to the island. The Industrial Incentives Act of 1947 was approved, offering 10-year tax exemption to companies that established new manufacturing operations on the island. The measures enacted in the late 1940's launched the industrialization of Puerto Rico. By 1952, there were 166 industrial firms operating on the island and 18 more were in the process of starting operations. A total of 12,000 persons were employed in these factories, with an aggregated annual payroll of more than $10 million. Most of the factories were labor-intensive operations with relatively small investments in machinery and equipment. They came to Puerto Rico because of the new tax incentives and because of the relatively low salaries paid on the island. GDB’s role as the government’s fiscal agent was also defined during the 1940's. 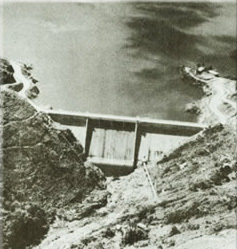 In 1943 the Bank performed its first financial transaction: the purchase of a Water Resources Authority (WRA) bond issue. In 1947 the Bank participated in the first of a series of housing financing transactions for the construction of 400 low-cost housing units. With this transaction, the Bank began to provide direct aid for Puerto Ricans to purchase their own homes. In 1948, the Legislature approved a new charter for the Bank and changed its name to the one it has today: Government Development Bank for Puerto Rico. In addition to serving as the government’s fiscal agent, the Bank would also be the depository and trustee of government funds, lender to the government and the private sector and financial advisor to the Governor and the government’s agencies and other instrumentalities. This same year the GDB made its first bond issue on behalf of the government to provide for improvements to the island’s electricity infrastructure. During the 1940's the Bank also began its policy of aiding the island’s social development, providing financial assistance in such areas as housing, education and even the restoration of historic Old San Juan.